Shipping goods between a hub and the final delivery address, “the last mile,” historically has been one of the most expensive, inefficient and polluting parts of the supply chain, something replicated and expanded across much of the Western world, especially during the holiday season. The Council of Supply Chain Management estimated that 28 percent of all transportation costs occur in the last mile, while a recent McKinsey and Co. study reported estimates reaching or exceeding 50 percent. Deliveries using drones and autonomous ground vehicles could address some of these last-mile logistics issues; however, such options could be at least a decade away. This article focuses on solutions that exist and can be implemented today. An efficient last-mile logistics solution in terms of price, speed and service will distinguish winners from the also-rans. According to the Boston Consulting Group, free delivery, lower prices and free returns are the principal reasons for online shopping and delivery. These factors directly affect lastmile delivery and logistics costs. Demographics are a major factor, with Generation Z, those aged 18 to 24, already spending almost 10 percent of their income online. Millennials aged 18 to 34 spend more money online than any other age group and are a significant driver of e-commerce. Both groups have lower incomes compared to older adults, but as they gain more workforce experience and make more money, e-commerce will capture a bigger share of their spending. Consumers are becoming more technologically savvy, with mobile purchasing growing by 39.1 percent in 2016 compared to 2015, accounting for nearly 2.6 percent of total retail commerce, according to eMarketer. Rising incomes and growing internet access in emerging countries could lead to a $3 trillion online retail market in Brazil, Russia, India, China, Indonesia, Saudi Arabia, Mexico, Turkey and South Africa, with 1 billion additional online customers. In the long term, online purchases in these countries would be a bigger market than those in developed countries. Smartphones will be the main driver of this trend, affecting both rural and urban areas. This growth creates logistics problems for retailers and other businesses. For instance, single-person households are a growing social trend. With nobody at the house to answer the door, this makes home deliveries during the day more challenging, resulting in higher delivery failure rates, significantly reducing the productivity of logistics providers. In some cases, several attempts need to be made to deliver the goods. Beyond the customer dissatisfaction comes added traffic congestion and air and noise pollution. Failed delivery rates have a significant effect on last-mile costs. Research conducted by Mikko Punakivi (“Identifying the success factors in e-grocery home delivery” in the 2001 International Journal of Retail & Distribution Management) concluded that costs increased steeply for the first 60 percent of deliveries that needed to be confirmed. Costs tapered off subsequently. Return rates must also be accounted for when calculating the total cost of the last-mile delivery process, especially if the returns are picked up from the customer location. In this case, additional transportation and logistics costs include material handling. Managing customer returns is important in improving last-mile logistics. The vehicles and technologies the delivery company chooses may have a significant influence on last-mile costs. The factors driving the cost variation include gas consumption, insurance, loading space, methods to process and transport the packages and security systems. Modern information and communication technologies can make a significant difference in the last-mile delivery process. Routing tools based on new technologies and software can enable real-time management of deliveries, cutting costs. According to the company Logistics Trends, routing software can reduce fuel costs by 5 percent to 10 percent while improving productivity by up to 50 percent via dispatcher and route planning functions, along with improved visibility and customer service. In a scenario where shippers deliver only to their customers’ collection points, the company would be able to drop more parcels per stop. The primary limiting factor would be the space in the chosen vehicle and the associated load factors. The cost model simulation has been run for low and high load factors. The results in Figure 1 show that last-mile costs can be reduced by nearly 50 percent with this strategy. Investing in routing tools can increase productivity through automating daily route planning, making real-time adjustments when needed and other features. The cost model simulations have been run for using routing tools for two options: no time windows and one-hour time windows. The results indicate that routing tools can reduce costs by approximately 13 percent. Investing in eco-friendly fleets can improve the image of the company, but it also can affect costs. The cost model shows that fuel efficient fleets do not have a significant effect on lastmile costs in the city; however, the results are slightly more meaningful when deliveries are made across the state. Using cargo bicycles for delivery in the city center could save 30 percent to 40 percent, according to the cost model. The last-mile costs can be competitive even if time windows are offered. Of course, using cargo bikes for last-mile delivery is feasible only in certain sections, even in urban areas. In the delivery mode focus scenario, the logistics features that focus on delivery mode improvements, namely cargo bikes, collection points and secure boxes, were added incrementally to the base reference case. Returns and materials handling were added first, followed by the use of cargo bikes, collection points and secure boxes. The ratio between the most expensive and the cheapest option was 2.41, which is substantially lower than the one obtained in the customer service focus scenario. Figure 3 shows a sample of the results from the model. The prospective savings that result from the use of collection points are considerably high. Unfortunately, this option can be inconvenient for some customers. Other options, like using cargo bicycles for final delivery, if feasible, may result in savings up to 40 percent. And secure boxes on premises can reduce costs by 20 percent. Combining the use of bikes and security boxes provides a cost similar to that obtained from using collection points without bikes. Routing systems can reduce costs by up to 25 percent. In sectors with high return rates, such as the fashion industry, company performance could be improved significantly with better handling processes in reverse logistics. Last-mile logistics is a challenging issue. The rapid growth of e-commerce and social trends like the increase in single households along with the desire for sustainable and green solutions contribute to the complexity of the problem and the demand for new solutions. Based on this study, delivery costs across an entire state can be up to 65 percent more expensive than deliveries in urban areas. Routing tools have a sizable impact on last-mile logistics costs and should be pursued by all logistics providers. The impact of fuel efficiencies on final costs is lower than other alternatives, although eco-friendly options should be considered. Collection points decrease costs dramatically with the same fleet. The costs of implementing returns are significant. A returns rate of 8 percent can increase costs up to 20 percent. Bicycles can reduce costs up to 40 percent in high-population density areas. 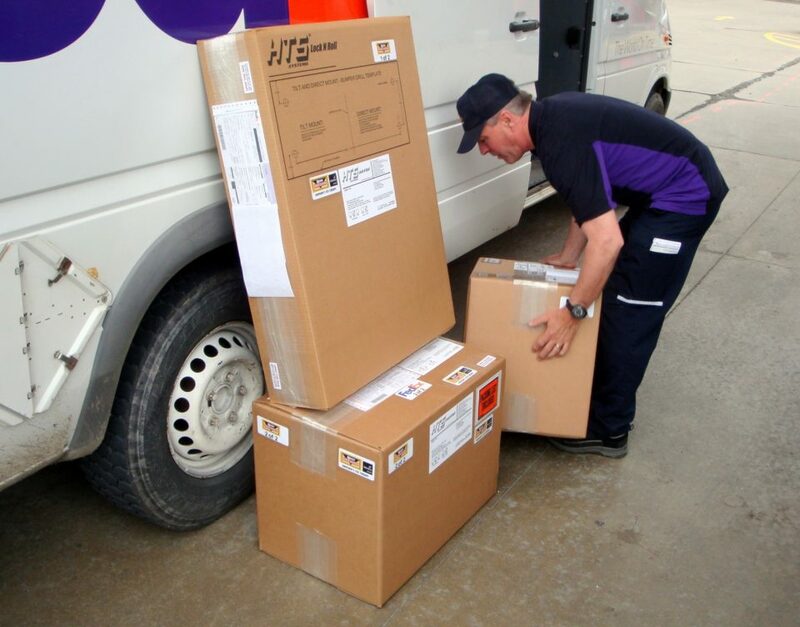 Security boxes eliminate failed deliveries and can have a major impact on final costs. Combining the use of bikes with security boxes allows the company to offer time windows and increase customer service with costs that are comparable to the savings generated by using collection points. Perhaps the most important conclusion from this research is that customer service is quite expensive and is liable to incur significant costs. Each company should carefully evaluate its customer offering to balance costs with service levels. The right delivery mode choices, combined with innovations in routing tools, in-vehicle technologies and handling improvements, can enable an enterprise to offer better customer service with lower costs and can make the difference in a very competitive sector.